A self-catering holiday home in the Gower village of Llangennith, Barcud Lodge is the ideal venue for a relaxing holiday with family or friends. This modern, architect-designed house with amazing sea views is the perfect place to stay. The house is spacious and stylish, with a Visit Wales Four Star grading. 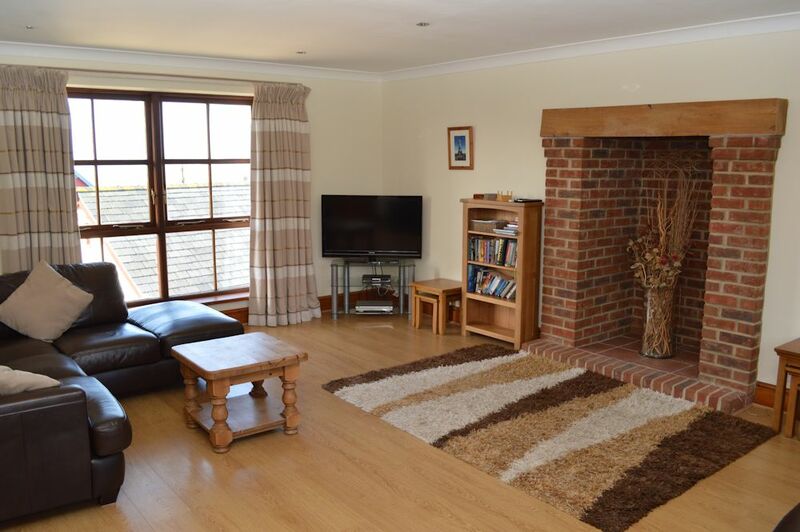 It accommodates up to 8 people and is situated within walking distance of the fabulous sands of Llangennith Beach, a world class surfing beach. With the living space arranged on the first floor, the generously proportioned lounge and well-equipped kitchen breakfast room enjoy stunning sea views. The galleried dining room looks towards Llangennith Hill. The 3 double bedrooms and twin room are on the ground floor. 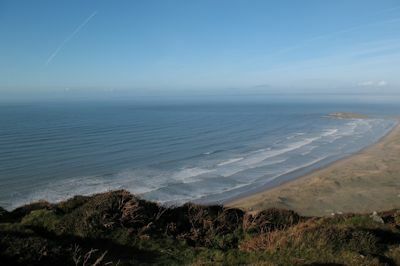 Within walking distance of Llangennith and Broughton beaches, and within easy reach of many other fabulous beaches, Llangennith is a great holiday venue for surfers, walkers and families.